Background: Autophagy is a catabolic process for the autophagosomic-lysosomal degradation of bulk cytoplasmic contents. Control of autophagy was largely discovered in yeast and involves proteins encoded by a set of autophagy-related genes (Atg) (1). 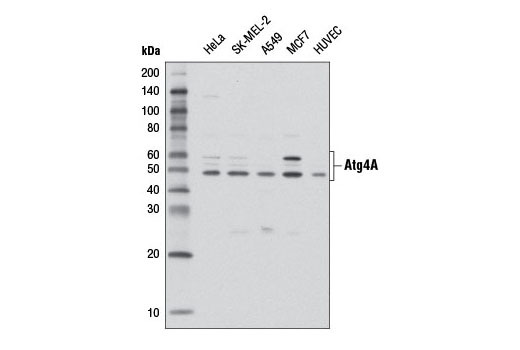 Formation of autophagic vesicles requires a pair of essential ubiquitin-like conjugation systems, Atg12-Atg5 and Atg8-phosphatidylethanolamine (Atg8-PE), which are widely conserved in eukaryotes (2). 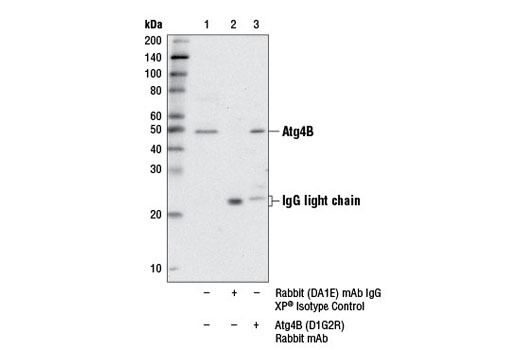 Numerous mammalian counterparts to yeast Atg proteins have been described, including three Atg8 proteins (GATE-16, GABARAP, and LC3) and four Atg4 homologs (Atg4A/autophagin-2, Atg4B/autophagin-1, Atg4C/autophagin-3, and Atg4D/autophagin-4) (3-5). 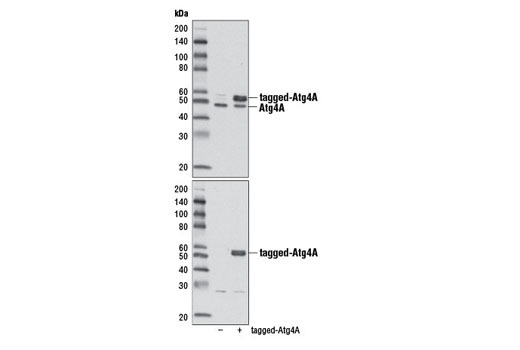 The cysteine protease Atg4 is pivotal to autophagosome membrane generation and regulation. 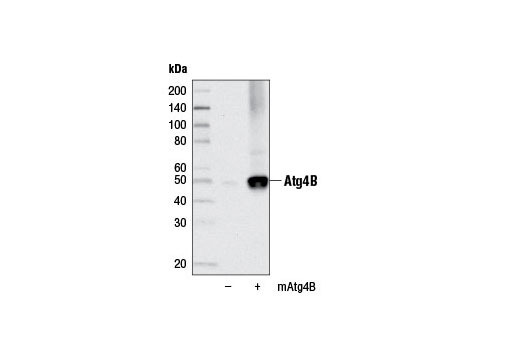 Atg4 primes the Atg8 homolog for lipidation by cleaving its carboxy terminus and exposing its glycine residue for E1-like enzyme Atg7. 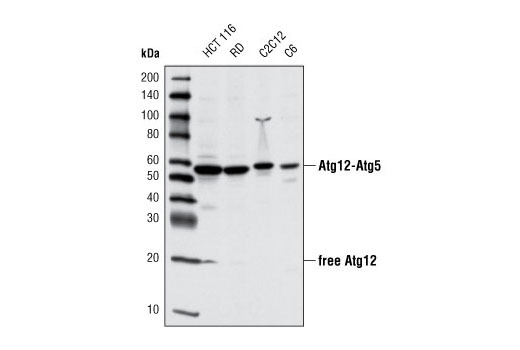 The Atg8 homolog is transferred to the E2-like enzyme Atg3 before forming the Atg8-PE conjugate. 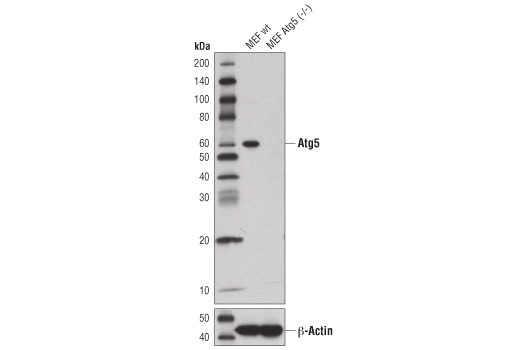 During later stages of autophagy, Atg4 can reverse this lipidation event by cleaving PE, thereby recycling the Atg8 homolog (6). Background: Autophagy is a catabolic process for the autophagosomic-lysosomal degradation of bulk cytoplasmic contents (1,2). Autophagy is generally activated by conditions of nutrient deprivation but has also been associated with a number of physiological processes including development, differentiation, neurodegeneration, infection, and cancer (3). 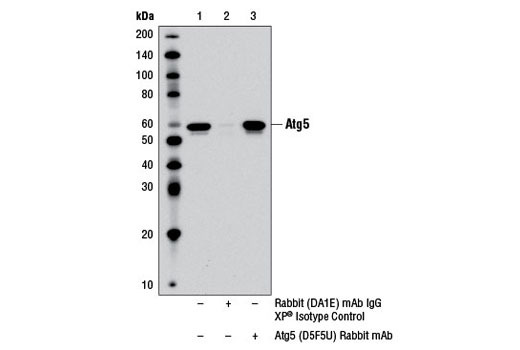 The molecular machinery of autophagy was largely discovered in yeast and referred to as autophagy-related (Atg) genes. 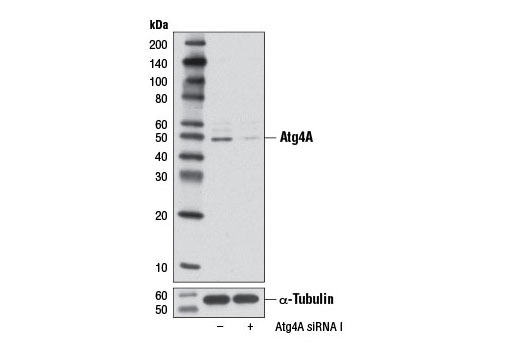 Formation of the autophagosome involves a ubiquitin-like conjugation system in which Atg12 is covalently bound to Atg5 and targeted to autophagosome vesicles (4-6). 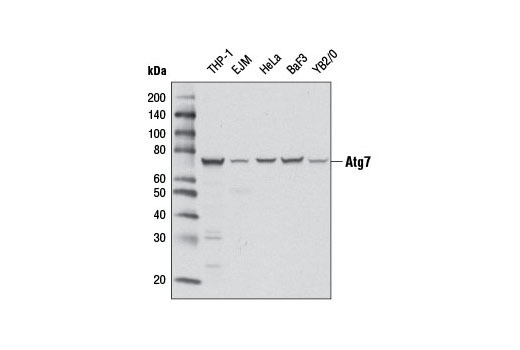 This conjugation reaction is mediated by the ubiquitin E1-like enzyme Atg7 and the E2-like enzyme Atg10 (7,8). 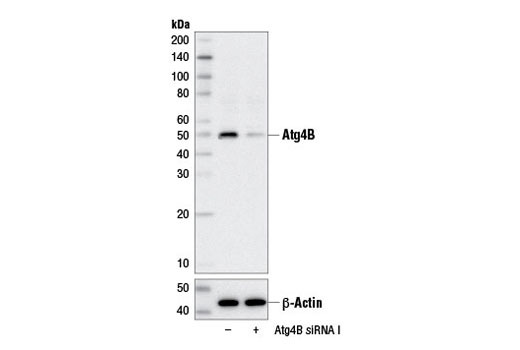 Background: The human urokinase-type plasminogen activator receptor (uPAR) is a 55-65 kDa, highly glycosylated, GPI-anchored cell surface receptor (the deglycosylated protein is 35 kDa) (1-3). 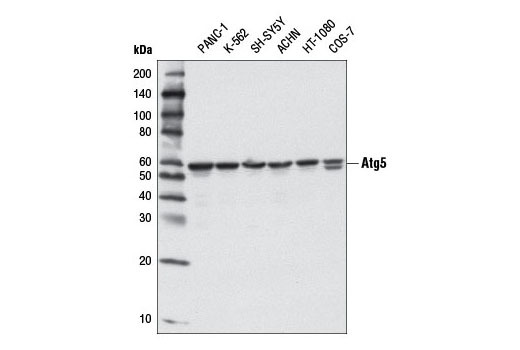 It is a central player in the plasminogen activation pathway. 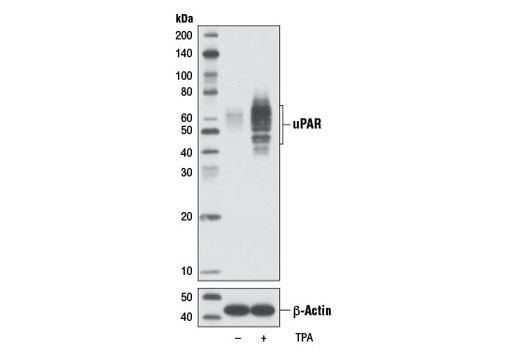 uPAR binds with high affinity to a serine protease urokinase-type plasminogen activator (uPA) and converts plasminogen to its active form plasmin in a spatially restricted manner on the cell surface (4). 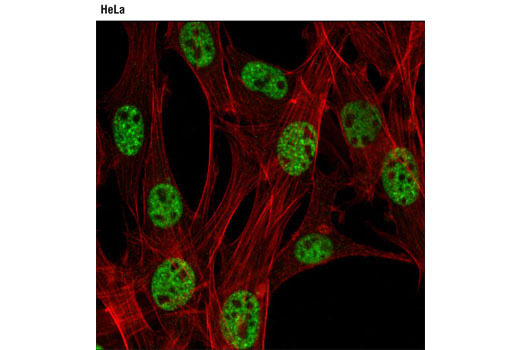 Plasmin further carries out the activation of uPA, which is inhibited by serpins, such as plasminogen activator inhibitors (5). 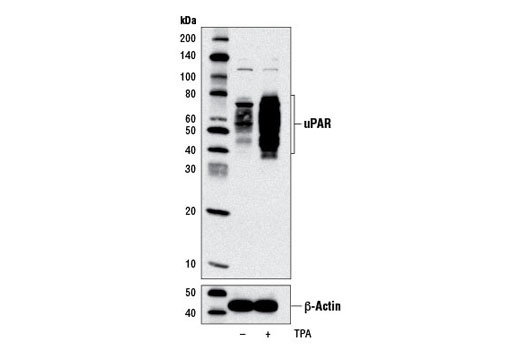 Therefore, uPAR plays a key role in regulating extracellular proteolysis. 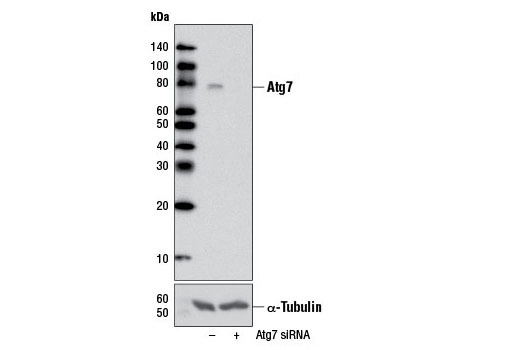 In addition, uPAR plays an important role in regulating cell proliferation, adhesion and mobility (6,7). 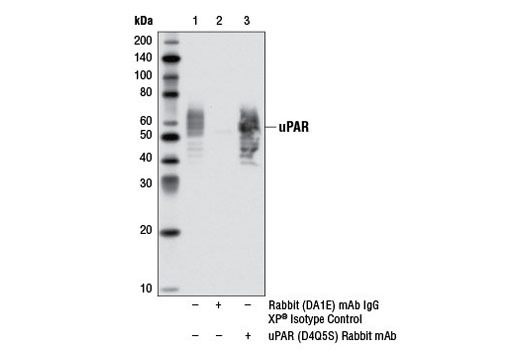 Research studies have shown that overexpression of uPAR is found in various cancer cells and tissues (8,9). 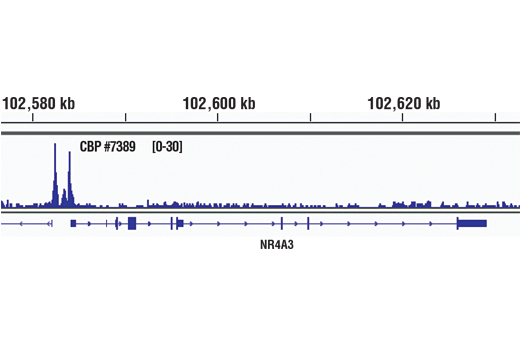 Background: CBP (CREB-binding protein) and p300 are highly conserved and functionally related transcriptional co-activators that associate with transcriptional regulators and signaling molecules, integrating multiple signal transduction pathways with the transcriptional machinery (1,2). 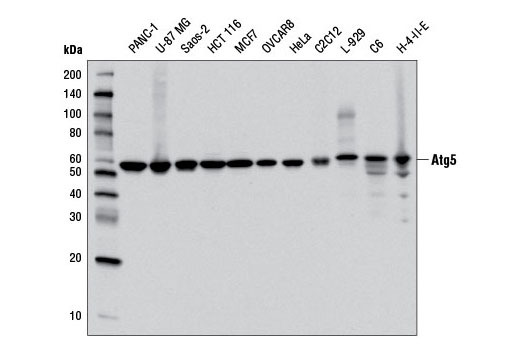 CBP/p300 also contain histone acetyltransferase (HAT) activity, allowing them to acetylate histones and other proteins (2). 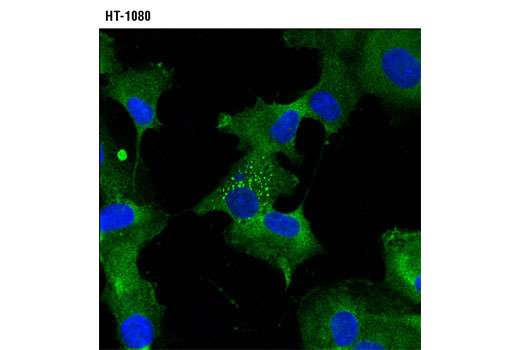 Phosphorylation of p300 at Ser89 by PKC represses its transciptional acitivity, and phosphorylation at the same site by AMPK disrupts the association of p300 with nuclear receptors (3,4). 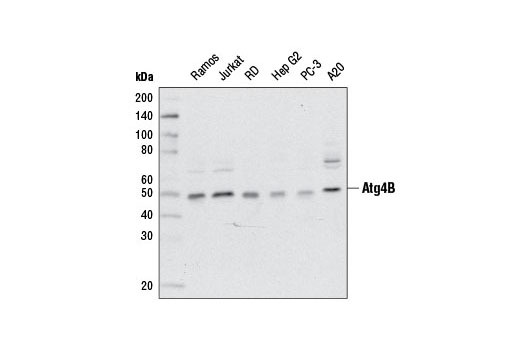 Ser1834 phosphorylation of p300 by Akt disrupts its association with C/EBPβ (5). 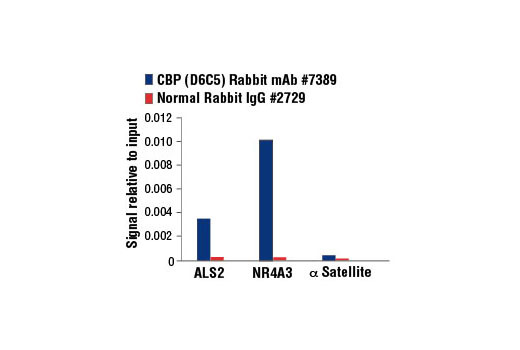 Growth factors induce phosphorylation of CBP at Ser437, which is required for CBP recruitment to the transcription complex (6). 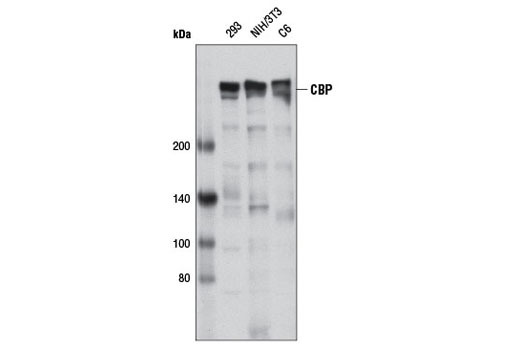 CaM kinase IV phosphorylates CBP at Ser302, which is required for CBP-dependent transcriptional activation in the CNS (7). 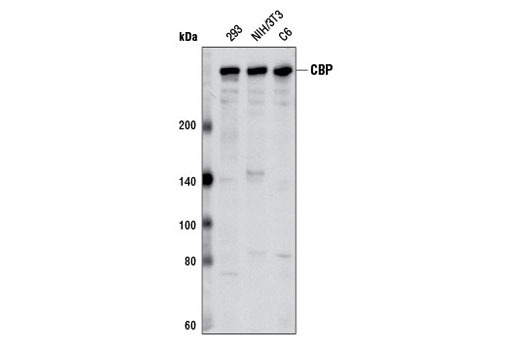 The role of acetylation of CBP/p300 is of particular interest (2,8). 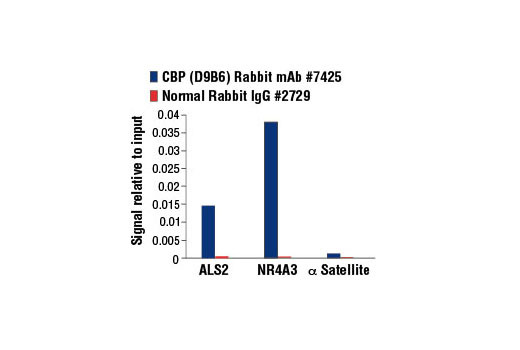 Acetylation of p300 at Lys1499 has been demonstrated to enhance its HAT activity and affect a wide variety of signaling events (9).